Great Service! Nice car and polite driver! 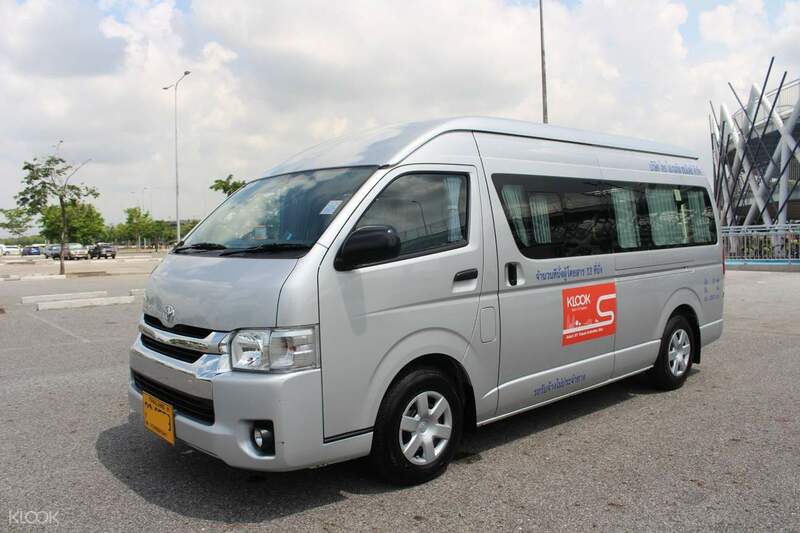 Make sure to start your visit to Thailand hassle free by booking your Bangkok Suvarnabhumi Airport transfers in advance. 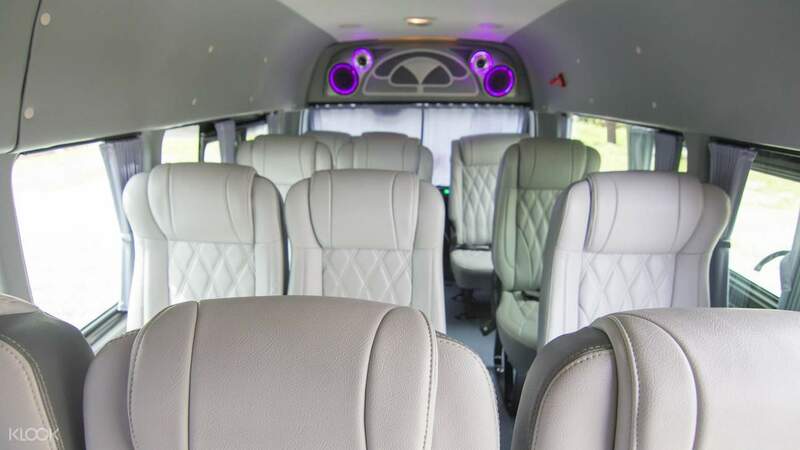 From the moment you arrive, you'll enjoy the comfort of a private vehicle with your own professional driver who will pick you up from your hotel or Bangkok Suvarnabhumi Airport arrival hall, before whisking you off to your final destination. 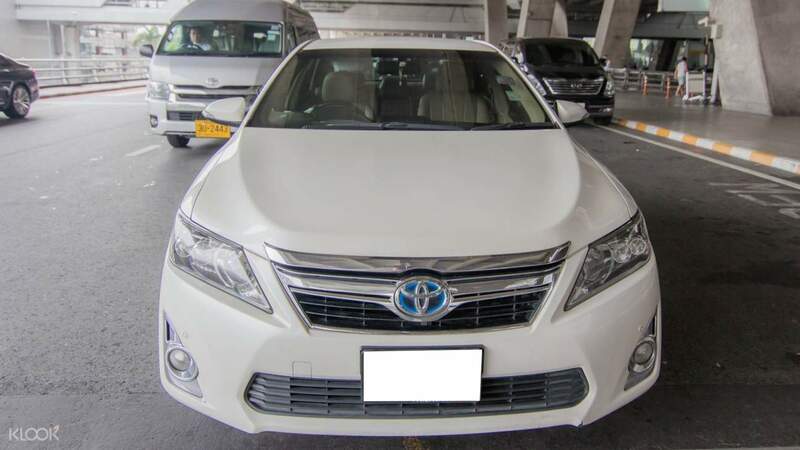 These private Bangkok Airport transfers to or from Suvarnabhumi International Airport and downtown Bangkok, Pattaya, Jomtien, Hua Hin, Ayutthaya, Koh Samet or Koh Chang offer a choice of two stylish Toyota models that can accommodate between 1 and 10 people. 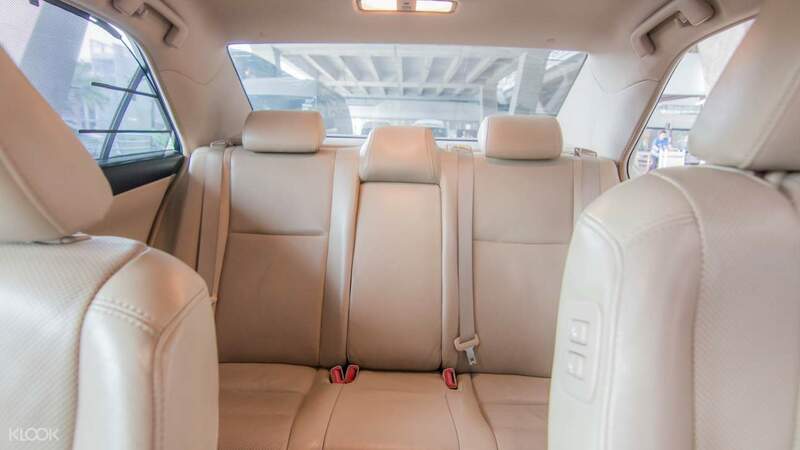 So whether you're a couple or a large traveling party, you can kick back and relax in these modern, air-conditioned cars that'll provide plenty of room for you and your luggage. 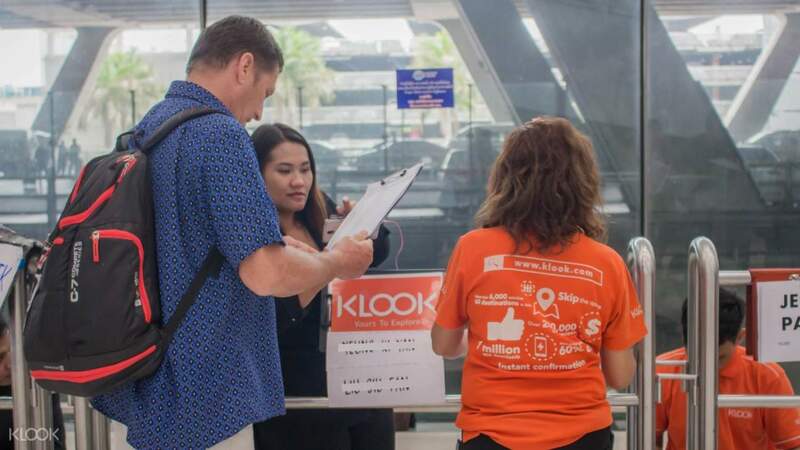 The Klook staff will be waiting at the Arrival Hall between Gate 4 and Gate 3 holding a Klook sign. No extra fees for late nights too! Very courteous driver and the lady who attended to us helped us with our luggage and brought us to the van. Very accomodating and courteous as well. Klook staff is easy to spot and the our names are displayed and they are situated in between gates 3 and 4. Very courteous driver and the lady who attended to us helped us with our luggage and brought us to the van. Very accomodating and courteous as well. Klook staff is easy to spot and the our names are displayed and they are situated in between gates 3 and 4. 1. The ride to hotel is comfortable and safe. 2. Seat are new and clean 3. driver help with carry of luggage 4. personally i do not like drive who keep talking on the cab or transport, thus this driver is good. slient and good trip to our hotel. 5. spcacious for 4 person. 6. only point have to wait for the transport about 20min at the airport. guess it coming from carpark or somewhere else which need to take time. 1. The ride to hotel is comfortable and safe. 2. Seat are new and clean 3. driver help with carry of luggage 4. personally i do not like drive who keep talking on the cab or transport, thus this driver is good. slient and good trip to our hotel. 5. spcacious for 4 person. 6. only point have to wait for the transport about 20min at the airport. guess it coming from carpark or somewhere else which need to take time. wait for 15 minutes at the airport before the car arrived. car was clean and comfortable with over the top decor which was fun. Driver was safe and the car has working seat belt. wait for 15 minutes at the airport before the car arrived. car was clean and comfortable with over the top decor which was fun. Driver was safe and the car has working seat belt. Booked a private van to Airport with Klook and it was a very smart choice, the price was cheaper and the van was in better condition than the one we booked through taobao when we arrived Bangkok. Will continue to use Klook in the future. Booked a private van to Airport with Klook and it was a very smart choice, the price was cheaper and the van was in better condition than the one we booked through taobao when we arrived Bangkok. Will continue to use Klook in the future. The service was on time,the car is big and comfortable our driver was nice also. We will use klook again kn our next travel! The service was on time,the car is big and comfortable our driver was nice also. 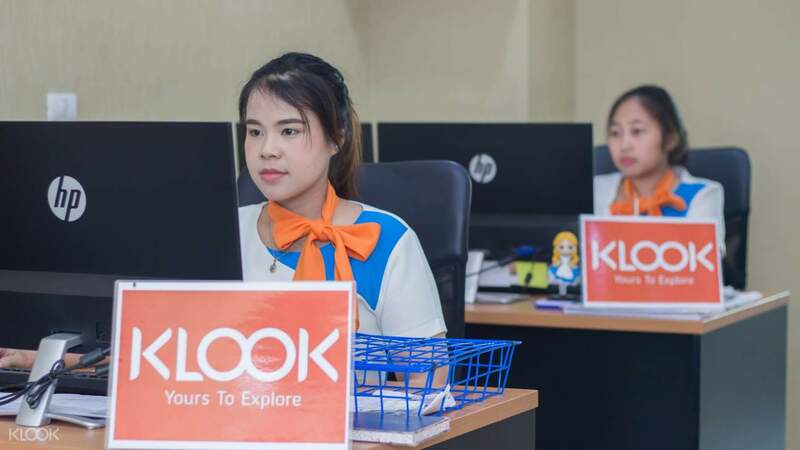 We will use klook again kn our next travel! It was very nice experience.A member was there along with our name board in their hand and then car was ready within 5 min we were picked up. It was very nice experience.A member was there along with our name board in their hand and then car was ready within 5 min we were picked up. Bought the service 3 hours before which was a pleasant surprise as we thought it couldn’t be done. Driver arrived at hotel on time and we arrived at the airport within 35 minutes. Service was extremely efficient and convenient. Bought the service 3 hours before which was a pleasant surprise as we thought it couldn’t be done. Driver arrived at hotel on time and we arrived at the airport within 35 minutes. Service was extremely efficient and convenient. The taxi driver was so nice. Inside the car had free WiFi. The only uncomfortable thing was the traffic was a little heavy! But generally speaking this was a good experience! We enjoyed it!!!!!! The taxi driver was so nice. Inside the car had free WiFi. The only uncomfortable thing was the traffic was a little heavy! But generally speaking this was a good experience! We enjoyed it!!!!!! Q: If I purchase the add-on SIM card, do I have to provide some sort of identification to redeem my SIM card? A: No need to verify your identity. The driver will provide your SIM card upon entering the car.